Today I travelled by tube to Victoria for a trip around my ’70s home in Soho. As I neared Morden station two community support police officers rushed past me towards the crowded forecourt. I thought we were in for some excitement, but they simply wanted to board the 93 bus. Leaving the underground at Victoria I walked along Buckingham Palace Road, passing the palace which was, as usual, surrounded by tourists hoping to get a glimpse of Her Majesty. 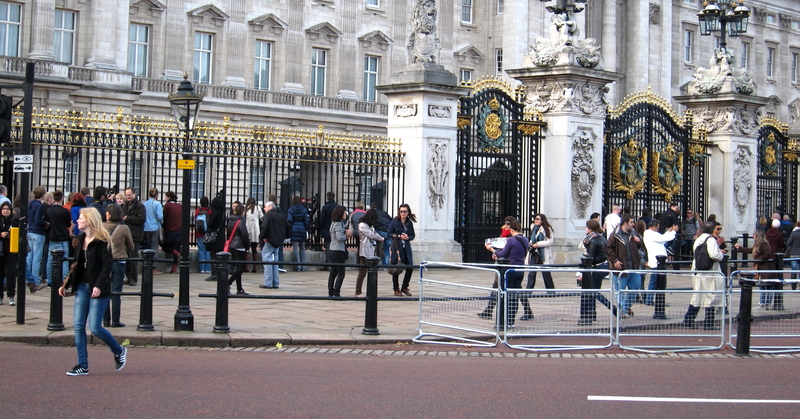 Crossing Pall Mall, I walked up Marlborovgh Road. (There is no typo here, for the street sign is very old.) Turning up St.James’s Street, I took a right into Jermyn Street, passing Floris, where I had entered a discussion about single mothers posted on 17th July. It was near this establishment that once stood Astleys, pipe makers and tobacconists, where I used to shop. My favourite ever Meerschaum was bought there. The proprietor found it in a box in the basement where it had lain for twenty five years. He sold it to me for the price on the original ticket. Sadly, this was stolen long ago. It had been made from a solid block, traditionally and beautifully carved. 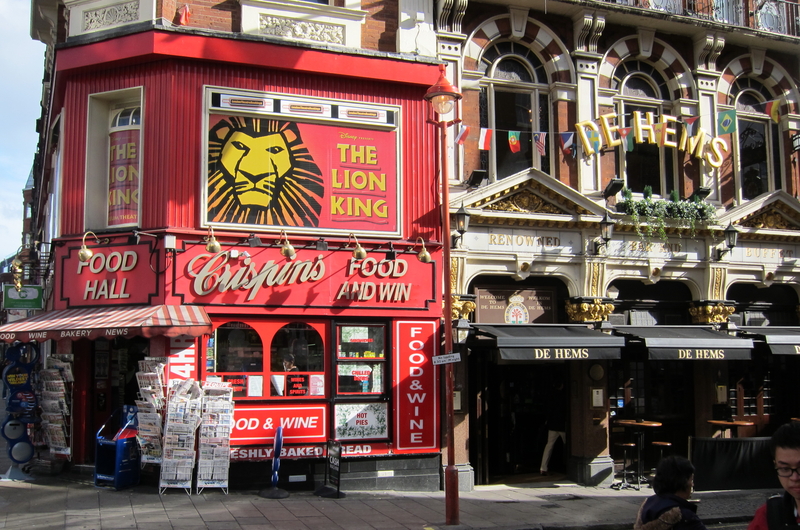 The shop itself was one of the early victims of rising rents in this salubrious thoroughfare. I walked around St. James’s church and bought a birthday present in Piccadilly Market in the grounds. Brass-rubbing was a feature of this church in the 1970s. I once took Matthew and Beccy there for the afternoon. At £5, which was still quite a lot of money in those days, I thought this quite a reasonable outlay for an afternoon’s activity. The two excited children rampaged around the crypt, gathering reams of large paper with a rub rub here, a rub rub there, everywhere a rub rub. Eventually I got the bill. It was £5 for each rubbing. After a lengthy debate with the staff we came to a compromise. From the church I continued along Piccadilly to one of the most famous landmarks in the world, which had been our local concourse. In the mid 1960s I had run out of petrol bang opposite Eros. This disaster was a little more manageable then than it would be now. 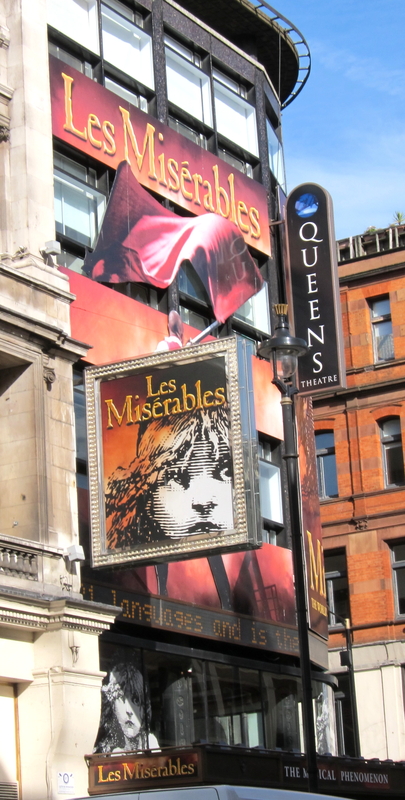 Along Shaftesbury Avenue I passed Queens Theatre, still showing ‘Les Miserables’ which had opened when we lived in Horse and Dolphin Yard. The little waif who has adorned the facade all these years was taken from a marvellous Gustave Brion etching. One of our neighbours in Newark had, when we first arrived in 1987, seen this production six times. She went off with another man, so I don’t know if she is going there still. On the corner of Macclesfield Street I contemplated the shop that had been the subject of my little white lie posted on 29th August. Next door is De Hems which was our local pub where Michael was Space Invaders champion. I would take a stein down from our flat opposite and have it filled with draft beer which I drank at home. The circular window in the wall of No. 2 was to our wardrobe cupboard alongside our bedroom. Horse and Dolphin Yard is entered beneath an extension of the corner building. In the room above, Chinese men played Mah Jong whilst Michael and his friend Eddie played football in the yard. The window to the room where the men played was usually open, and the clattering of the tiles went on all night. We were quite used to it so it wasn’t a problem. One day one of the boys kicked the ball through the window. It came back slashed. This rather upset me, so I marched round into Gerrard Street, steaming. These buildings are veritable rabbit warrens, so I had to find the room. I did this by entering an open door and wending my way up stairs and through dingy corridors full of rooms containing individual yale locks. The clattering of tiles led me to my goal. Football in hand I strode in. The room was bare, with a few chairs against an unpapered wall. In the centre was the games table which contained what seemed a great deal of currency notes piled up by the tiles. It was surrounded by Chinese men who met my question ‘who did this?’ with determined silence. After several repetitions and no alteration in the stony faces, I hurled the ball into the centre of the table scattering both money and tiles. As I turned round and marched away, the hairs stood up on the back of my neck. I realised I had probably been asking for trouble. ‘Don’t turn round. Don’t turn round’, I said to myself. Miraculously I was unmolested, and Matthew and I have been able to dine out on the story ever since. 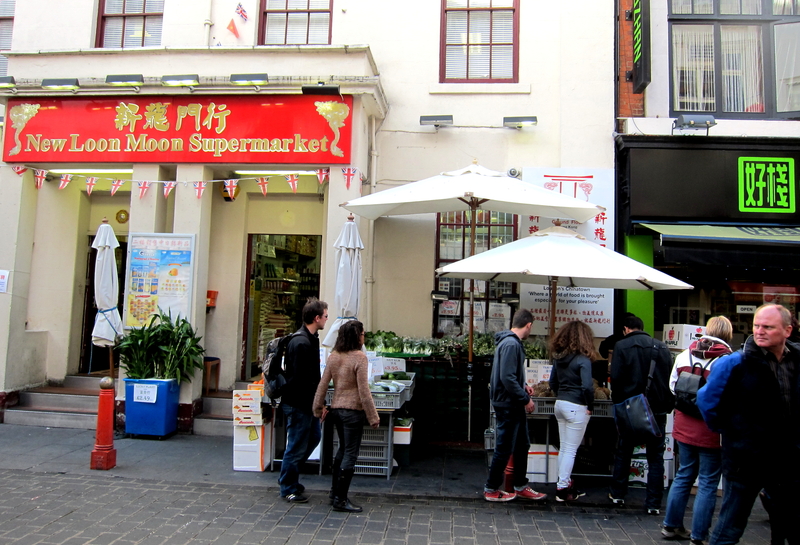 One of the buildings backing on to our yard is the New Loon Moon Supermarket, outside which we collected our Chinese boxes (see 14th September), and whose produce is now delivered in stout cardboard. 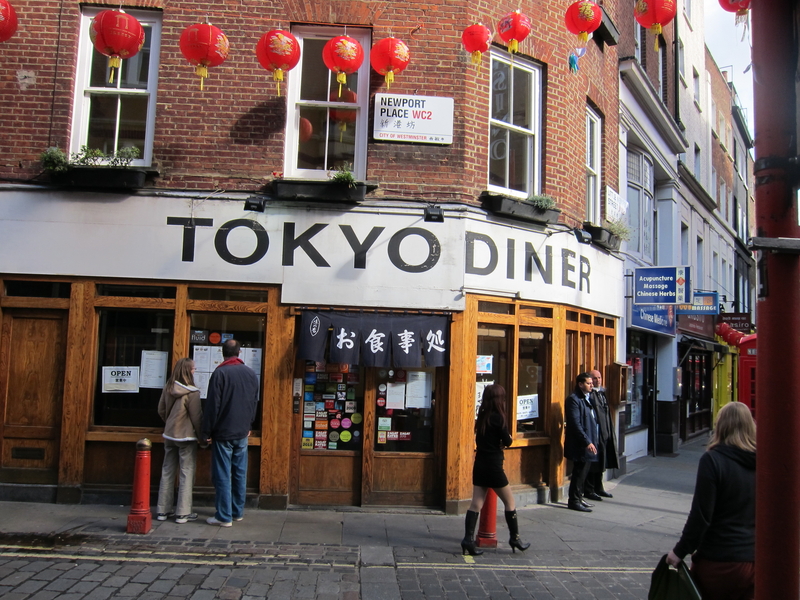 The Tokyo Diner at the corner of Newport Street now occupies the site of the laundrette featuring in the film in which I was upstaged by Michael and Piper (see post of 22nd. June). From there I entered Charing Cross Road, made famous by Helene Hanff’s book, ’84 Charing Cross Road’. Crossing Shaftsbury Avenue I turned left into Old Compton Street, right into Greek Street, and on to Soho Square Gardens where, seated on a bench, I spent a pleasant hour talking to Sammy, a very personable and amusing tall crane driver who was on one of the two two hour breaks he is allowed in his twelve hour shift. It’s the cranes that are tall, not Sammy. This man would sit for hours perched above the tallest buildings. He pointed out the location on which he was working. It was truly scary. Previously he had worked on ‘The Shard’ which is clearly visible from Morden Civic Centre. Every so often during our conversation, he would check his mobile device for the wind force, since he felt sure that it was blustery enough now for him to be ‘winded off’. For safety reasons when the figure is above 50%, of what, I don’t know, he cannot work up there. When it rose to 68% he got up to ‘show [his] face’, when he would be sent home, but still be paid. He described his roost in the skies as ‘very peaceful’, and was most eloquent telling about having his head in blue sky looking down on a smooth layer of cloud like a river of milk in which he felt he could run his fingers. I’ve seen this from a plane, but from a crane the mind boggles. My newfound friend insisted on photographing me so I could show the world where I’d been. As in many other parts of London a permanently fixed table tennis table has been installed. This was directly opposite, and near enough to, our seat so that we were continually fielding missed balls. In fact, Sammy, caught one in his. The games seemed to be open to all challengers on the basis of ‘winner stays on’. There were some very good players, the last one being quite exceptional. He was rather pleased when I quipped, as I rose to leave, that he would be there all day. I made my way back to Leicester Square station and took the tube back to Morden. I had planned to cook a rogan josh this evening, marinated the meat, and done all the preparation, but PayPal did my head in. I spent an hour and a half trying to get them to allow me into my account. I have not used this for some years, since when they have introduced a new security system. I had to display the name of my primary school and the colour and make of my first car. They kept telling me my information was incorrect. Well, I should know shouldn’t I? And they’d never asked me that before. Eventually I was timed out, but I could access them by telephone. I took this option. The number they gave me turned out to be an O2 number. I gave up and we went to the China Garden in Morden. The reason I wanted to use PayPal is because the free download space I am using to put photographs on my blog is running out. If I don’t get this sorted you will see no more photographs. An excellent Chinese meal helped me relax, as did the Chateau du Souzy beaujolais 2010 I drank with it. Jackie drank Tsingtao beer. 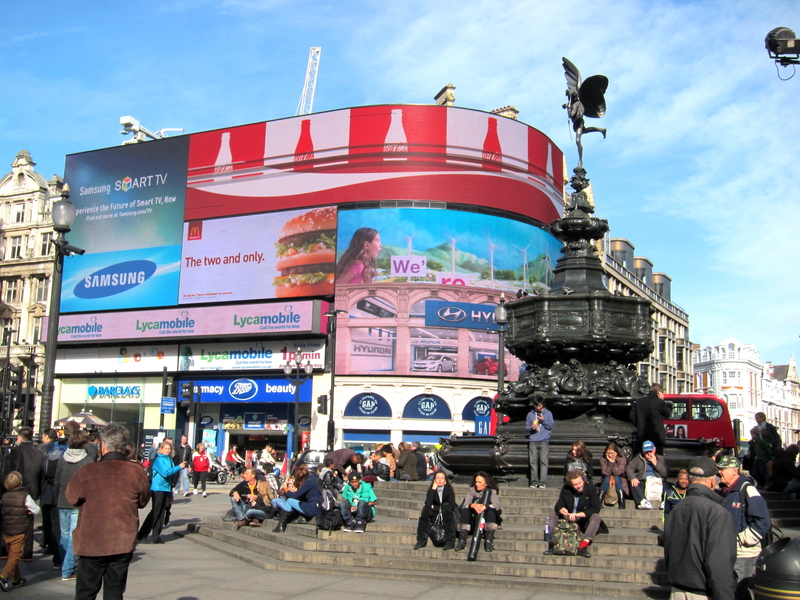 This entry was posted in Uncategorized and tagged Astleys, brass-rubbing, Buckingham Palace, De Hems, Eros, Gerrard Street, Gustave Brion, Horse and Dolphin Yard, Les Miserables, mah jong, Meerschaum, New Loon Supermarket, Piccadilly Circus, Queens Theatre, Shaftesbury Avenue, Soho, Soho Square Gardens, St James's Church, Tokyo Diner by derrickjknight. Bookmark the permalink. 84 Charing Cross is my favorite book & movie, first I read it in Japanese, then English. When I visited London in 1999 I visited the address and imagines the letters sebt back and forth between London and NY, beautiful story. Loved reading about your reminscences Derrick. I know the area very well. 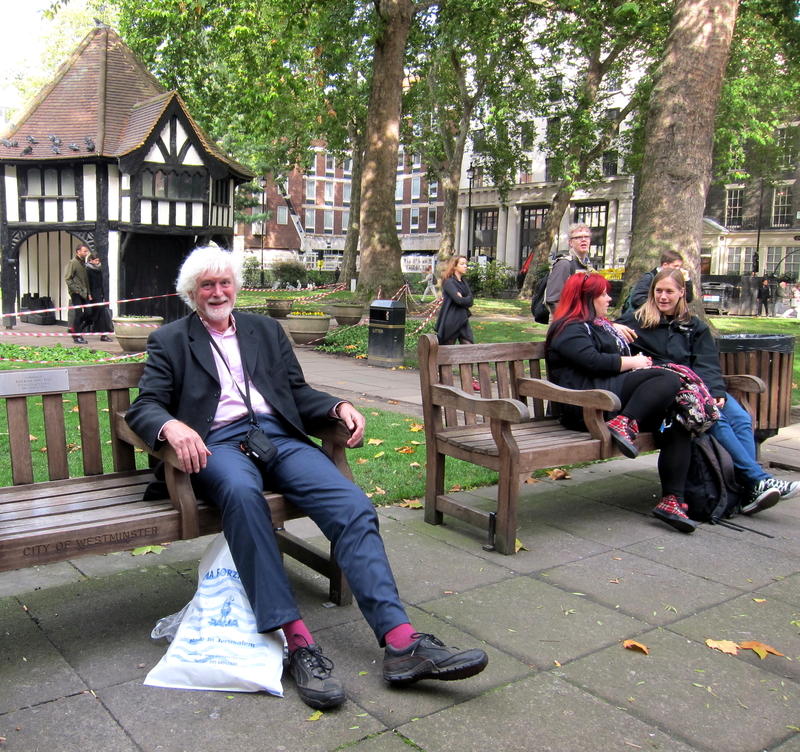 I work not far from Soho Square. I’m going to have a wander around and find Horse and Dolphin Yard. Love the story about the Mah Jong and the football! Many thanks. 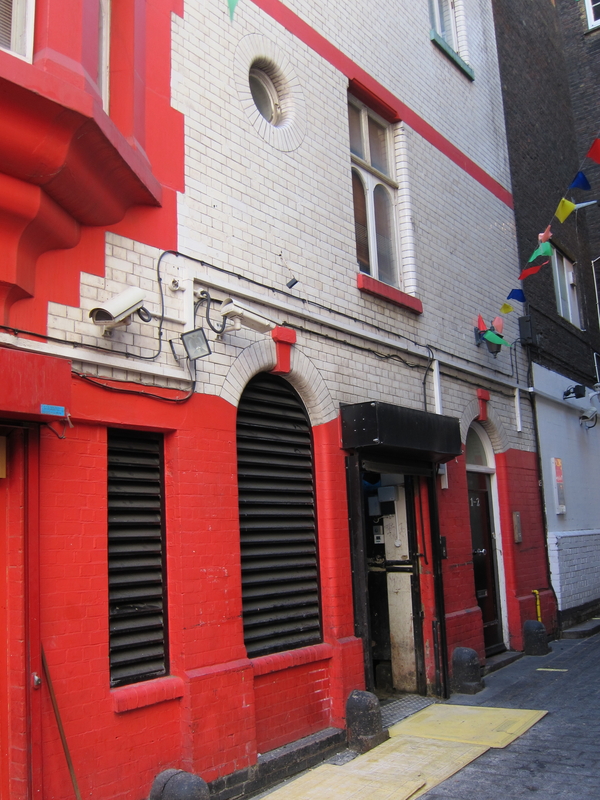 There are a number of Soho stories – some told, some untold as yet. You would have heard me sounding not so sweet too. If you were a sandwich your sandwich would be a best seller “slice of life on rye” but you are a long legged man with a great smile and a beautiful wife, who tells bewitching stories of your experiences and leaves us ‘young-uns’ wondering why life isn’t as interesting as it once was (I firmly believe this btw). So sad/happy to read about you walking through your former stomping grounds. I spent quite a lot of time in Soho/Covent Garden because when we moved to the UK my dad worked there, first in St. Martins Lane then Meard St then some others, until finally Soho central and so I as a kid would leave school and go be with him and ‘play’ in the neighborhood, not really being aware of the dangers as they were less rife then. I recall so much of what you said in your return to these parts, they are less ruined than most of London but it breaks my heart when I see change, especially the kinds they’re doing over on Lambeth Bridge near Nine Elms where they are building all the high rises for the embassies. THAT doesn’t seem like london to me at all. I used to work at the American Embassy and now they’re moving S. side, it’s all just really unfortunate. Anyway with your pictures especially the one of you smiling, there is hope still for those memories if nothing else, to remain unscathed. A friend of mine is running the ‘save Soho’ campaign with others, to try to preserve what Soho once was, though I think in the long run the speculators will have their way. It is still a gorgeous visit – I will have to send you the pictures of my trip I don’t think I ever showed you them I will be sure to do that – is your email now okay for me to send or will it spam me again? Thank you for your good memories, I know your family will read this in years to come and feel as we both did, the charm and beauty that was. Very many thanks, Candice. I have no idea what has happened to your e-mails. I haven’t been receiving them and they were not in Spam. You can only try again. You mentioned your favourite Meerschaum. I gave up pipe smoking years ago and I’m glad I did, too, but I still miss the aroma and my pipes. I bet whoever stole yours didn’t even smoke.